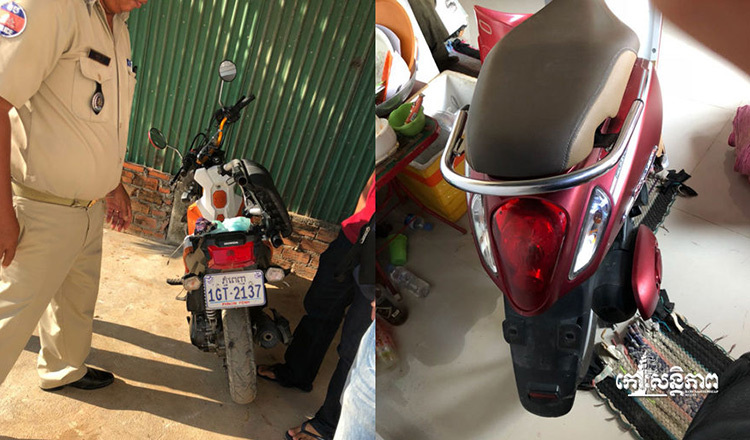 Phnom Penh Municipal Court yesterday charged eight men, who regularly snatched bags and stole motorbikes from people, with theft over the stealing of a woman’s scooter in Daun Penh district. 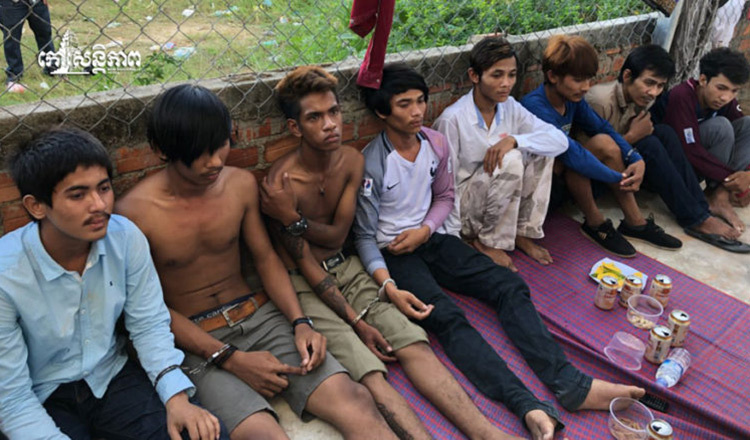 Meng Touch, a Por Senchey district police officer, identified the accused as Chhay Yang, 19; Kao Pheareak, 21; Keo Phirum, 24; Im Pheara, 20; Phy Sengheang, 18; Than Phanha, 19; Heng Samnang, 22; and Kim Sameth, 30. They were yesterday charged with theft with aggravating circumstances and are still being questioned by an investigating judge, he said. Mr Touch said the eight men were experienced thieves who often drove motorbikes around the capital snatching bags from unsuspecting victims, adding that they also stole phones, jewellery and motorbikes. Mr Touch said that on Saturday at about 3am, the eight men assaulted Saing Sorphoan, 22, a waitress at the Metro Restaurant in Daun Penh, before stealing her scooter while she was on the way home from work. Mr Touch said the right men then fled and hid at their rental home in Por Senchey district, where police then tracked them down using the stolen motorbike’s GPS system. “We knew where they were because the victim had installed a hidden GPS device on her moto,” he added. Mr Touch said that after their arrests, police seized the stolen scooter, along with two other motorbikes. Ly Sophanna, spokesman for the municipal court, could not be reached for comment yesterday.